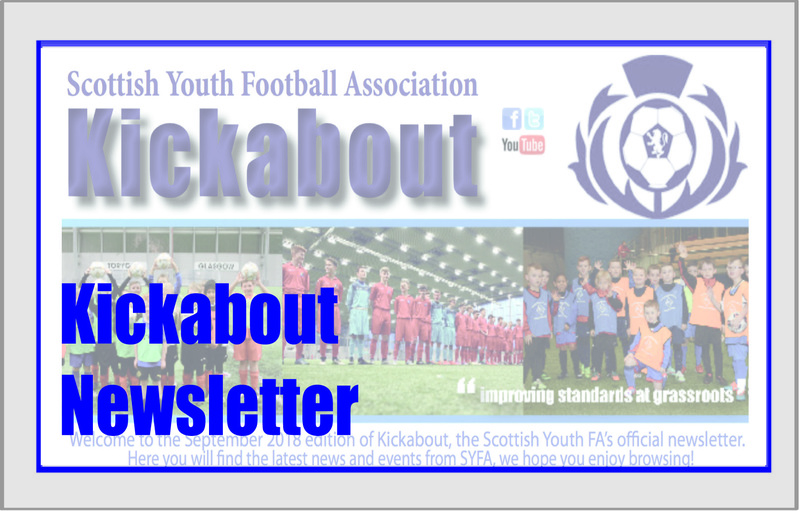 This is the official information website of the Scottish Youth Football Association Limited (SYFA) the national governing body of youth football in Scotland. We are responsible for EVERYDAY, RECREATIONAL, GRASSROOTS football from Orkney to Edinburgh from Peterhead to Lockerbie and cover age groups up to and including 21's. We have two websites https://www.scottishyouthfa.co.uk is this information website and https://www.scottishfalive.co.uk/syfa is the Registrations Website to register Clubs, Teams, Players, Tournaments, Friendlies and Leagues. Encouraging all boys and girls throughout Scotland to play organised football and enabling every child to develop and flourish as a player. SYFA is helping all SYFA volunteers to create a safe and fun environment while developing and supporting all players. To increase the number of children and young adults playing organised, quality football throughout Scotland. SYFA have extended partenership with inspiresport for the Scottish Cup until 2021.